Michael J. Matt tells us what he expects from the Vatican Summit (current mood: disillusioned), just before attending the press briefing on day 1. Reporting from the Vatican, Michael Matt explains why Catholics around the world will not leave the Church despite the sexual abuse crisis but, rather, are resolved now more than ever to stay, stand and resist. On the eve of the Vatican Summit on clerical sexual abuse, Traditional Catholics stage a silent demonstration in Rome, followed by the answer to their prayer in the form of an eleventh-hour intervention from Cardinals Burke and Brandmuller. Plus, a major press conference provides opportunity for traditional Catholics to present the Catholic case to the mainstream media. 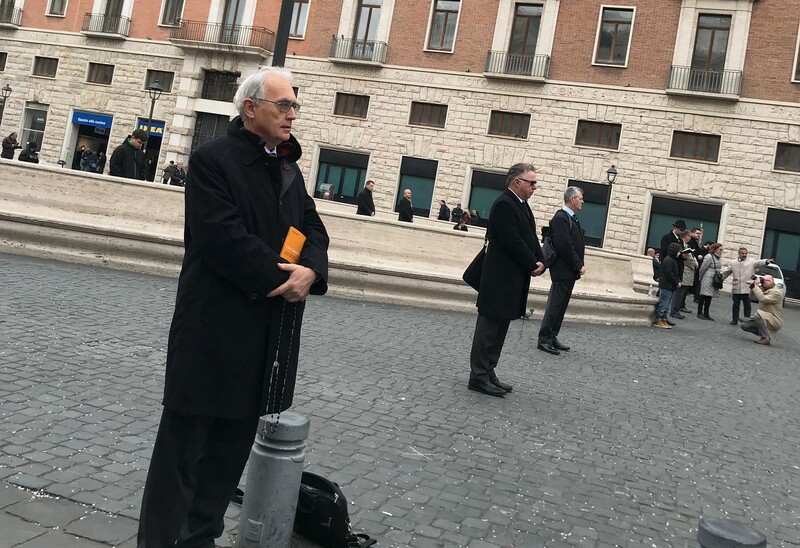 Flanked by Michael Matt and 100 Catholic activists, Professor Roberto de Mattei leads the Stop the Silence demonstration in Rome today, two days before the Vatican Summit on clerical sexual abuse. I’m writing tonight in the shadow of St. Peter’s Basilica, having just participated in the Stop the Silence public demonstration organized by our friends and allies of the international coalition called Acies Ordinata here in Rome. This demonstration concluded with a press conference in which Catholic representatives from Poland, Canada, the US, Italy, France, and England addressed mainstream media reporters from the AP, ABCNews, the Tablet, and many others. PETITION POPE FRANCIS: Do you accept the Church's teaching on the immorality of homosexual acts?